Australia's Ikon embodies a vision of loneliness and despair: somber synths playing like strings along the strummed chords of the guitar, the weeping refrains of the bass, the strong but not overpowering pulse of the drum programs, and the melancholy lament of the singer. 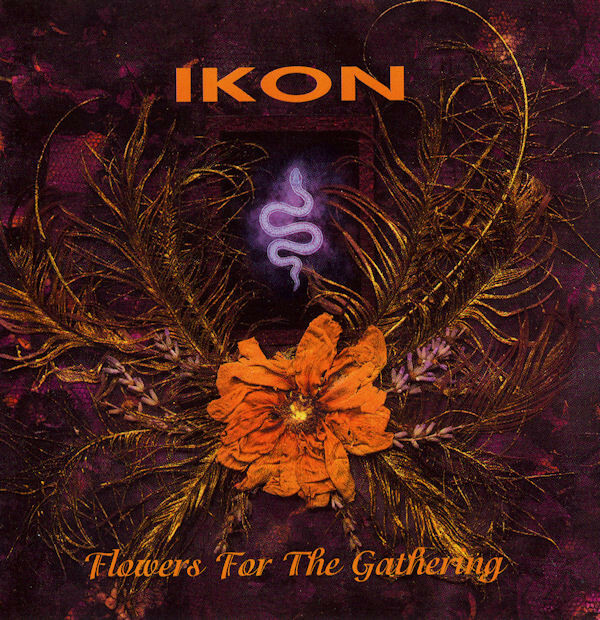 Ikon was formed in 1991, when the current members joined with drummer Maurice Mollella and vocalist Michael Carrodus. All had worked together as Death in the Dark, and were eager to continue their musical exploration of rock's dark side. They played around Melbourne for about a year, before releasing their first single, "Why/As Time Goes By". Maurice left the band in early 1993, and rather than replace him, the band took the Sisters route and fleshed out their sound with a drum machine. In 1993, the song "Dreaming" appeared on a Melbourne CD compilation, NU Music Sampler, and their first EP appeared in 1994: The Echoes of Silence. Their 1994 sessions came to the attention of Germany's Apollyon Records, resulting in their full length debut, In the Shadow of the Angel, followed in 1995 by a limited edition EP (Condemnation) and their Joy Division cover single, In a Lonely Place. This was followed by their sophomore CD, A Moment in Time. 1997's Flowers for the Gathering stands among the best new works in the genre of Gothic Rock. Ikon's dark approach to music is much along the same lines as Rosetta Stone, prime Mission UK, and Eldritch's Sisters, but also includes the classic mournful qualities of Joy Division. This sound continues with their newest CD, This Quiet Earth, and its companion single, Subversion, which are the first works to feature guitarist Chris McCarter on vocals. With the addition of David Burns and Anthony Griffiths, Ikon have returned with On The Edge of Forever. The 2001 release features all of the elements that have aided them in becoming one of the premier gothic rock bands. Moody vocals, dark strings, and hypnotic beats mesh together to create an aura of uncontained desolation.